"A young man married is a man thats marrd." William Shakespeare (15641616) was a poet, playwright, and actor who is widely regarded as one of the most influential writers in the history of the English language. Often referred to as the Bard of Avon, Shakespeare's vast body of work includes comedic, tragic, and historical plays; poems; and 154 sonnets. 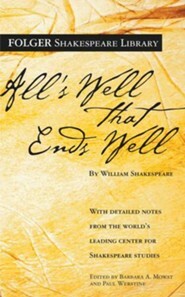 His dramatic works have been translated into every major language and are performed more often than those of any other playwright. Jonathan Bate is a professor of Shakespeare and Renaissance literature at the University of Warwick. 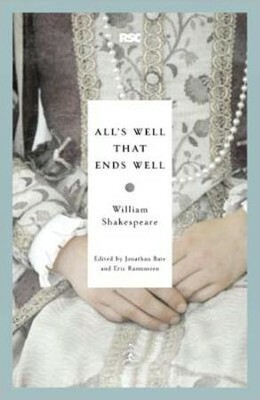 Widely known as a critic, award-winning biographer, and broadcaster, Bate is the author of several books on Shakespeare. He is also the principal editor of the Modern Librarys and Royal Shakespeare Companys highly acclaimed William Shakespeare: Complete Works. I'm the author/artist and I want to review All's Well That Ends Well.